The talk radio station says it views the show host’s use of the programme for personal purposes very seriously. Talk radio station Power FM has broken its silence on the suspension of one of its popular hosts, JJ Onkgopotse Tabane. 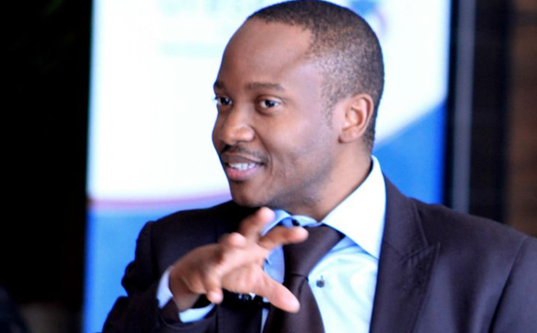 In a statement released on Wednesday, Power FM spokesperson Masego Serape said station manager Bob Mabena afforded Tabane an “opportunity to appraise [sic] the station about the veracity of the allegations which were raised within the context of the ongoing debate around State Capture, linking him to alleged improper conduct emanating from his association with former minister Faith Muthambi”. Tabane’s opportunity was involving a Twitter debate with political commentator Chris Vick last week. Vick questioned Tabane’s reaction to Phumla Williams’ testimony at the state capture inquiry last week. Serape said Tabane was requested to clarify the allegations contained in Vick’s tweet as well as his pronouncements and conduct in the subsequent interview that he and Vick participated in on the POWER Drive on September 4 2018. Serape said the station viewed Tabane’s “failure” to make the foregoing material disclosures, as well the utilisation of the programme for personal purposes, in a serious light. “In light of all these developments, POWER 98.7 considered it prudent to suspend JJ Tabane’s hosting of POWER Perspective, whilst it considers the implications of his conduct. It is our desire that this matter be resolved expeditiously and POWER 98.7 will communicate its final position to the listeners and the public soon,” Serape concluded.